Our staff of highly trained individuals features the University of Pittsburgh coaches, current and former PITT players, college coaches from all over the country and experienced club coaches. Head Coach - PITT Women's Soccer Team. Coached at Notre Dame, Duke University and the University of Colorado. Chin is a former Canadian National Team member. 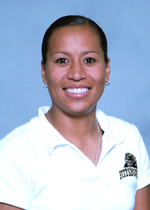 She was a three-year captain, All-America Goalkeeper, and Hall of Fame recipient at Florida International University. Asst Coach - PITT Women's Soccer. Coached on the men's side at Marquette University and at his alma mater St. Francis University. He was a three-year captain and All Conference Selection with the Red Flash.